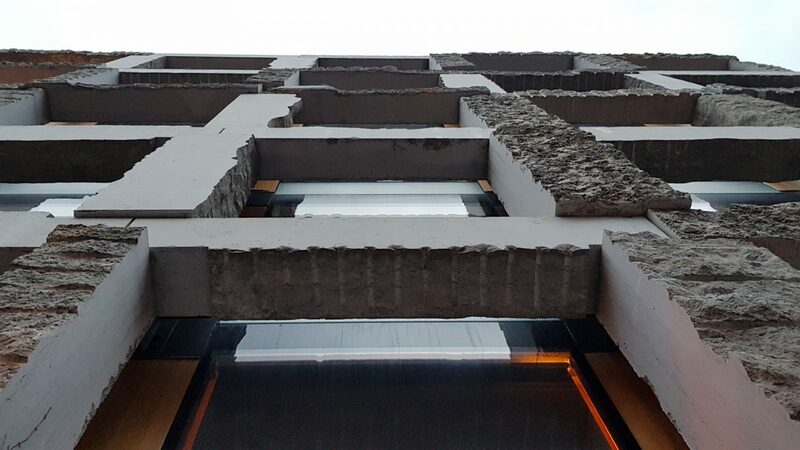 The project has grabbed headlines and so was a fascinating project to explore and visit, being taken around by the architect Amin Taha who also has his architecture practice within the lower ground floor. 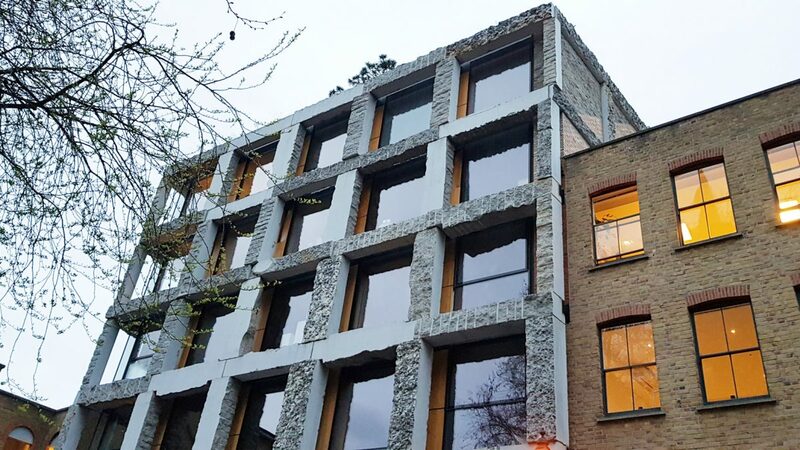 Despite it representing a return to craftsmanship, using traditional structural-stone cladding to create a floor plan free of columns, this contemporary design for an enclave in Clerkenwell has received negative attention from some neighbours, councillors and Islington’s Planning Enforcement Team. The transformation of this blank site was secured by Taha for a private client, who then pulled out of the project leaving the architect to take on the project himself. The result is an experimental and refreshing piece of architecture which stands out in the street as compared with a mixed vernacular of poor 1960s and 70s brick buildings. The architect has faced Islington as they have claimed, in a much-publicised battle, that the scheme has not been built in accordance with the approval. This story took a further turn when Islington conceded that they had found ‘missing documents’ confirming the project design and materials as-built. Despite that, the future of the building still hangs in the balance, despite a rallying of architects around the scheme which has won awards. 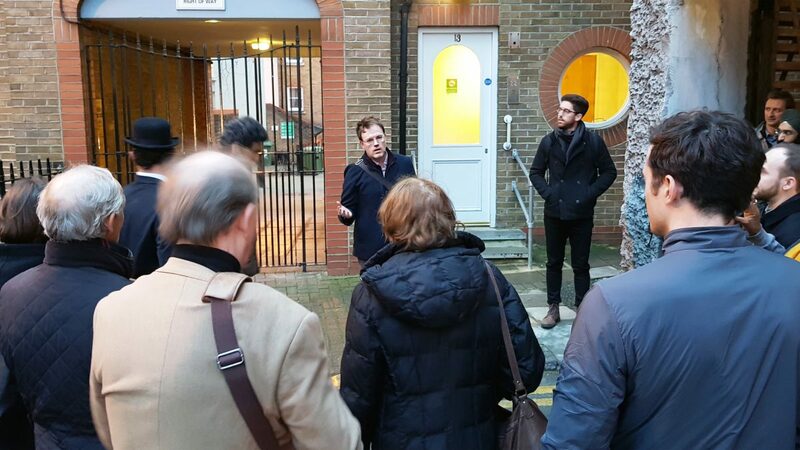 The inspiring project, which we hope will soon have it’s future secured, was an exciting building tour organised by North London Architect’s Group. With 25 attendants, we were taken around the entire studio of the practice, a typical flat and the communal circulation space as well as the private roof garden, with views across the capital. The detailing, use of materials, internal finishes and design bring the entire scheme together as a coherent and bold piece of contemporary architecture that is an exemplar for the construction industry.